Dj Enimoney has released hot visuals for his single, Diet. The single has some of Nigeria’s finest on it. 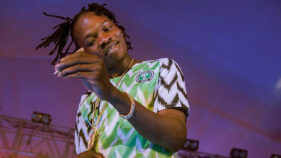 We see a blend of Tiwa Savage ever pleasant voice and Slimcase’s wobey sound supported by Alaga ibile himself, Reminisce.